Small groups are one of the most effective ways of growing together as a church. Because a small group is, well, small, people in the group are able to get to know and trust one another deeply; members can share things in a small group that they just couldn’t on a Sunday morning. 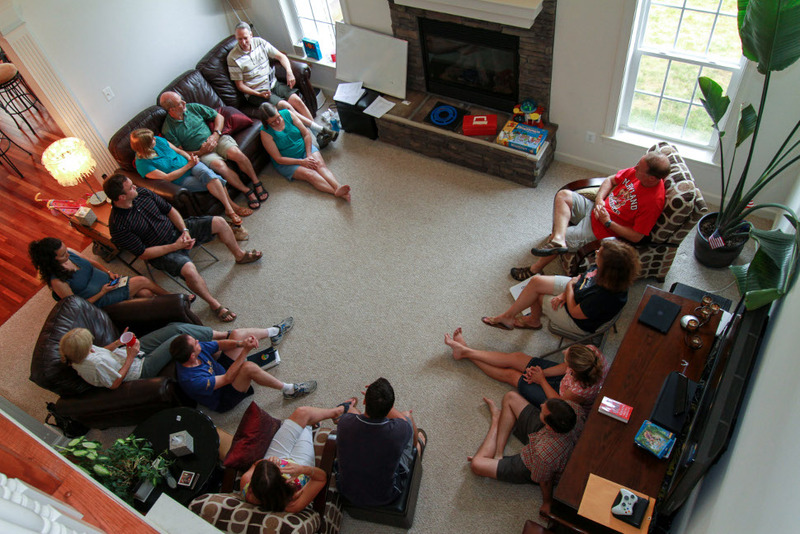 Small groups – sometimes known as home groups, or house groups, or cell groups, or discipleship groups, or banana groups (ok, I was lying about that one) meet in people’s homes, usually midweek. Part of what they do is to study a passage or a topic – sometimes all the small groups follow the same material, and at other times they decide for themselves what they would like to study. Other things that small groups typically do is pray, worship, enjoy one another’s company, and serve the community around them. How? That’s up to the small group! If you’d like to find out about joining one of the groups, please speak to Ian or John.